On Storage, it comes with a 16GB of internal storage further expandable with MicroSD card. It has a 13-megapixel rear camera with OIS, LED flash and also has an 8-megapixel camera on the front with LED flash. Dual SIM device runs on Android 6.0 (Marshmallow) with Cool UI 8.0. 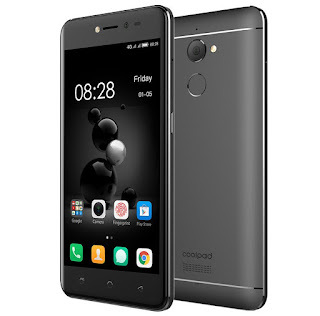 Coolpad Conjr Specs looks similar to Coolpad Note 3 Lite. Connectivity options include 4G LTE, WiFi 802.11 b/g/n, Bluetooth 4.0, GPS .It also has a fingerprint sensor on the back and packs a 2500mAh built-in battery. Coolpad Conjr is priced at $179.99. The smartphone will be available in gold and grey variants.